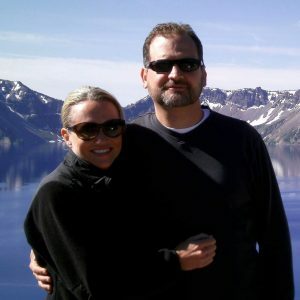 We are pleased to announce the sale of Seattle Dive Tours to Scott and Melissa Flaherty of San Diego, CA. After a brief hiatus, we expect to resume our guided dive tours and scuba classes in May. Scott and Melissa are Seattle natives looking forward to coming home. They were customers of Seattle Dive Tours and trained with Richard and Jean. Scott is a PADI Master Scuba Diver Trainer currently working at Ocean Enterprises, a PADI 5 Star Dive Center with locations in San Diego, CA and Guantanamo Bay, Cuba. Scott was originally certified in 2006 in Tulum, Mexico and became a dive professional in 2015. Melissa is a Master Scuba Diver. Scott will be returning to Seattle in late April with Melissa joining in summer. In the coming weeks, Scott will be reaching out to you to communicate his vision for Seattle Dive Tours and plans for the upcoming summer dive season. Scott will also be assembling a survey to ask what you would like to see from Seattle Dive Tours (trips, training, and events). Contact information (e-mail, phone, etc.) for Seattle Dive Tours will remain the same. If you’d like to know more about Scott and Melissa while we make this transition, please contact Scott via the below. Please note: Scott and Melissa will on a dive trip in Costa Rica and out of cell/internet range through the end of March but will respond as soon as possible upon return.